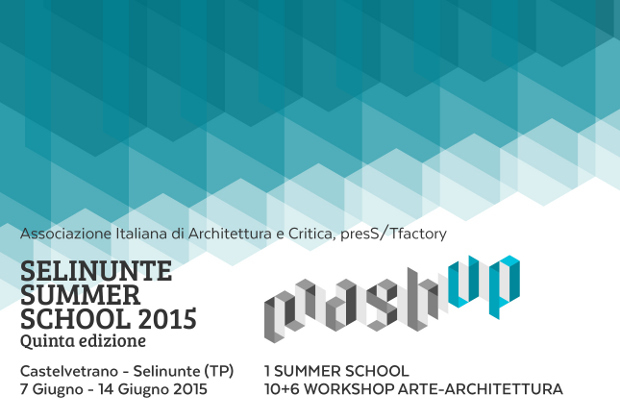 Marco Scarpinato and Lucia Pierro of the architectural office AutonomeForme are invited at the five edition of the appointment Architects meet in Selinunte + Summer School 2015_MASH UP organized in Castelvetrano-Selinunte from days 7 to 14 june 2015 with several activities as workshop, exhibitions and lectures. 11 june | Marco Scarpinato will take part at the conference “Architecture in Sicily” and will present the phase 2 of the project “Paesaggi Resilienti: The natural and anthropic park in Saline Joniche“. 12 june | Lucia Pierro will partecipate at the conference “The protagonists of architecture: 35 portraits and one mosaic multiple perspectives on the point of view of women in architecture” and will present the recent completed work in Palermo with the addition and restoring of Palazzo Greco.